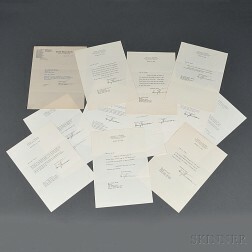 Save your search - find out immediately when "Harry S. Truman" is available at auction! 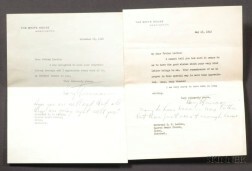 Truman, Harry S. (1884-1972) Thirteen Typed Letters Signed, 1937-1972. 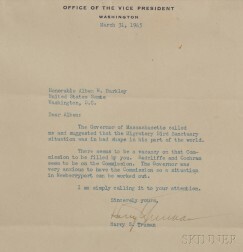 Truman, Harry S. (1884-1972) Typed Letter, Signed, 31 March 1945. Robert Smullyan Sloan (American, b. 1915) Portrait of Harry S. Truman. 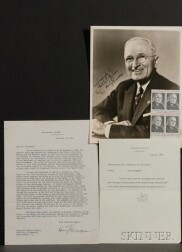 Harry Truman Autographed Card and a Norman Rockwell Autographed Card.